Dr. Weeks’ Comment: Cancer is a process – a metabolic process – gone awry. The two necessary remedies for curing cancer are: 1) anti-inflammation (cancer spreads by inflammation, metastasis is inflammatory) and immune enhancement (you need to kill your cancer not drugs or radiation). Also as clarified 8 years ago by Corrective Cancer Care™, the cancer STEM cell is the meaningful target not the relatively harmless cancer TUMOR cell. Furthermore. and the 97% of all cancer research money being spent studying oncogenes is a red herring. Big statement. Yes. But remember this fact: scientific truth is no respecter of majority opinion. So read on! And if you or someone you love has cancer – CLICK here. Charlene Bollinger: Do you know the true origin of cancer? Is cancer really a genetic disease? 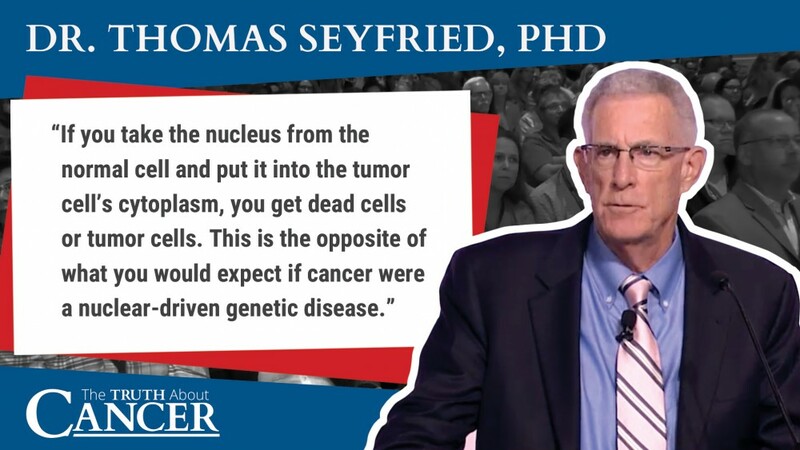 Watch this video with Dr. Thomas Seyfried as he talks about the compelling evidence AGAINST the gene theory of cancer, even though modern medicine is still studying gene mutations and genetic problems with this disease. Ty Bollinger: Dr. Seyfried is the author of the groundbreaking book Cancer as a Metabolic Disease and was one of the speakers at last year’s The Truth About Cancer live event. Make sure to watch all the way to the end. Dr. Thomas Seyfried: So, I like to start my lectures with giving a state of where we are with respect to this disease, okay? You look at these numbers, these are from the American Cancer Society over the last five years. I’ve been logging these numbers for many years now. And what we have here are new cases, deaths per year, and deaths per day over the last five years. What’s interesting about these numbers is that the rate of increase for deaths per year a day is actually about twice that of new cases, you know? And you say to yourself, you know… what’s going on here? We raise money for cancer research… Do you know how many private breast cancer research, brain cancer research, lung cancer research, colon cancer…? The NIH government spends, [and] every year the budget for cancer research goes up. The only thing that we can be sure of is the more money we raise for cancer research, the more cancer we seem to get. There’s something seriously wrong with this picture and it’s been going on far too long. And the reason for this is a misunderstanding of what the nature of this disease actually is, conflicting views on the origin of what cancer is. Is cancer a nuclear genetic disease or is it a mitochondrial metabolic disease? I have a picture of a cell here, and in this cell you’ll see the nucleus and you’ll see the mitochondria. The mitochondria is the small organelle that generates the energy from the cell. Energy means life, without energy we have no life. The nucleus, of course, is the focus of a large amount of cancer research, because the mutations that we all hear about and talk about are located predominantly in the nucleus. Although there are some cancer cells that have no mutations, you should know about that. So, the issue here is what is the origin of this disease? Is it the defect in the organelle that generates the energy, or is it the mutations in the nucleus that are supposed to drive it? Because the answer to this question is going to determine whether or not we’re going to lower those death rates. So, what we have here now is the current dogma, the dogma is that cancer is a genetic disease. Cancer cells carry the oncogenic and tumor suppressor mutations that define cancer as a genetic disease. And this paper, “The Hallmarks of Cancer” by doctors Hanahan and Weinberg, sets the stage for the basic research that goes on throughout the world, throughout the top made major medical schools and research laboratories on cancer. The problem is you have a dogma, and we know about dogmas. Dogma is an irrefutable truth, something that’s no longer questioned or discussed but simply accepted as if it’s the real thing by the majority of individuals that participate in a particular field. How do we know it’s a dogma? So, what this dogma has done is it has indoctrinated the mind of generations of physicians and scientists to focus on an aspect of this disease which, I’ll present evidence, may not be correct. So, here’s another image from a college textbook. It shows a car out of control, gas pedal’s to the metal, the car has no brakes. And what this is supposed to simulate is what we have in cancer. We have defects in tumor suppressor genes, which are supposed to be the brakes on keeping the cell from proliferating, and then we have these activated oncogenes, which are the accelerators that make this vehicle, or the group of cells grow fast. And the signature feature of cancer is cell growth out of control. That’s the definition: cell growth out of control, driven by these genes. Now, here’s another picture from a textbook, current textbook in biology. You know cancer is supposed to occur because the cells accumulate mutations in the nuclear DNA. You know, we have random mutations that accumulate, and eventually the normal-looking cell on the left becomes this reddish malignant cell on the right, and no one really knows for sure how many mutations are necessary to convert a normal cell into a tumor cell, alright? This is not solid anywhere. Now Michael Stratton and his colleagues from England, using deep sequencing and other genetics, genome sequence, eventually identified several hundred million mutations in tumors. No two tumor cells have exactly the same mutations. This is the main thrust. We have to bring in big computers, the Watson IBM computer, to try to figure out how many mutations are in these cancer cells. And then the ultimate result of this dogmatic view of what cancer actually is comes with what we call personalized medicine, personalized therapy. 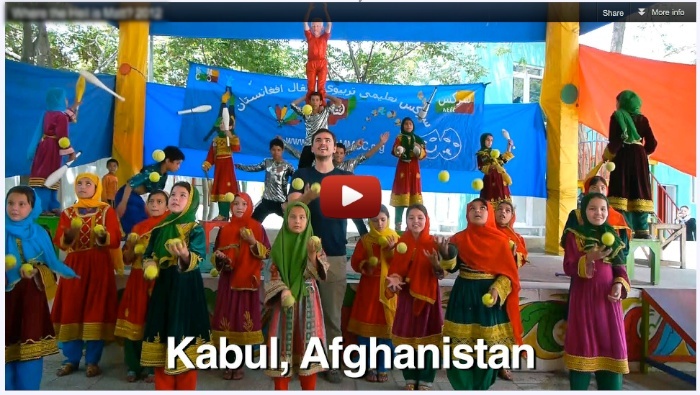 You’ve heard this, it comes on the news, NPR, they talk about personalized medicine. Individual’s cancer cells are genetically tested for personalized therapy, and based on the information, this woman staring into the screen, based on this, they make a decision as to how we might treat the disease, or how we might diagnose the disease. Now this is all well and good if the disease is in fact a genetic disease. So, what I’m going to do now is present evidence that challenges the dogma. Whenever you challenge a dogma, believe me, people don’t want to look at it. They don’t want to talk about it. And they don’t want to hear about it. And basically, this is the situation. So, I can come up here and talk, blue in the face but if you’re if you are of a dogmatic viewpoint, it doesn’t make any difference what I say. But what I’ve done, is I simply went through the literature over decades of work, and every few years a paper would appear in the scientific literature with evidence that seems to not support the gene theory of cancer. And what I simply did was bundle all those observations into a single story. I published it in chapter 11 of my book, and then in this more recent paper published, open access, I would encourage you to read the data, it’s open access. You can get it anywhere, it’s online, Cell and Developmental Biology. And they were done by many different scientists at different universities, and they all came to the same general conclusion. So, what I simply did was put all this together, and then this image, this figure that my students and I put together, summarizes all of these different studies. So, the green cells that are normal. Normal cells beget normal cells, and they have normal nucleus, and normal mitochondria. And the red cell is the cancer cell, and we know the tumor cells beget tumor cells. But the tumor cells have defects in the nucleus with the mutations, and they also have defects in the cytoplasm with the mitochondria. So, what is responsible for this phenotype? Is it the mutations in the nucleus, or is that the damage to the respiration? Is it possible to make these distinctions? And the answer is yes. From those nuclear transfer experiments, it is possible to determine what’s going on here. So, when the red nucleus is then put into a green cytoplasm, as you see here, you have normal…These cells, they form normal cells, normal tissues, and sometimes a whole frog or a mouse clone from the nucleus of a tumor cell. What’s going on here? Then you take the nucleus from the normal cell and put it into the red tumor cell’s cytoplasm, you get dead cells or tumor cells. This is not what you would expect if cancer were a nuclear-driven genetic disease. It’s just the opposite. This is the strongest evidence to date to refute the gene theory of cancer. It makes no sense. These genes are effects, they’re not the cause of the disease, yet the field is mostly studying gene mutations and genetic problems with this disease. Watermelon seeds – don’t spit, chew!